My Ring Makes My Finger Itch, Why? My Ring Makes My Finger Itch, What Should I Do? “Oh! Why is my finger red and itchy even though I have worn my wedding ring for some years now?” Sounds familiar? Yes, it happens to women as well as men, who have been wearing their engagement ring for a few days, months or even years! This not-so-nice feeling can crop up from wearing any ring over any span of time. Read on to learn why it happens, what could be done, and which types of medications can soothe the itchiness. 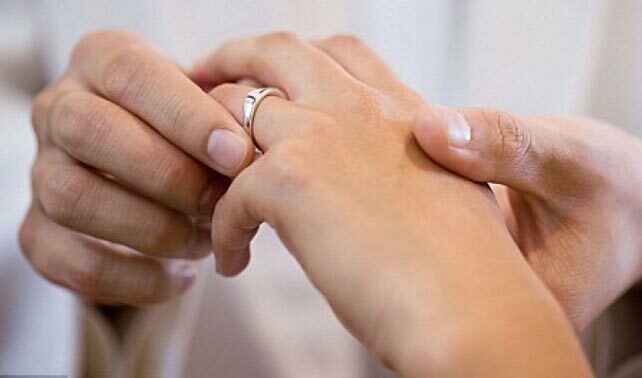 Wedding ring rash is basically a common type of skin rash caused from wearing a ring. This rash usually appears like a red circle under the band of a ring and tempts the yearning to itch the area. Typically linked with ring allergy, and also called wedding ring dermatitis, it’s seen mostly in folks with sensitive skin, allergies, eczema or atopic dermatitis. First, let’s discuss the allergy issues. This allergy trouble caused from wearing a ring may go unnoticed at the beginning as there is no exact time frame as to when the allergy might be visible to the naked eyes. It most often starts with a pinkish to reddish circle formed exactly under the ring band which may appear and disappear unexpectedly before being chronic. Commonly, complaints regarding allergic troubles and scratchy discomfort come from married ladies or individuals wearing ring for quite a long span of time. If you wonder "my ring makes my finger itch, how it happened", you should first consider nickel in the ring. Nickel plays a major role in causing allergies to several people, who, most often, are totally unaware that they are allergic to the metal. Nickel allergies are very common across the world, especially in the United States. The bad news about having nickel allergy is that, once you have it, it just remains and never leaves until treated. If you think you might be nickel allergic, you can get a patch test done. It can be done via a dermatologist/allergist who would aid in verifying whether you got the allergy. The test is simple, painless and easy. Once, it is verified that you are allergic to nickel, you can get hold of a nickel tester for home use. It’s cheap and convenient for checking items if they contain nickel component. Swap the ring to other fingers from time to time. Taking off the ring before shower everyday is a great habit, too. It will keep your finger clean and dry and let it breathe. Also do wash the ring and keep it clean to help eliminate soaps and other particles to sit on it. 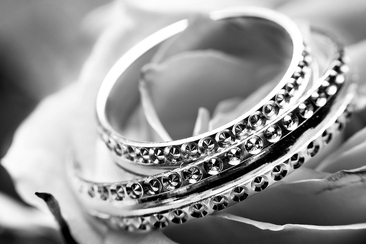 To put it simply, just knowing how to avoid the rash triggering factors, can come in handy to treating wedding ring rashes. Wet compresses can help, especially the one having Burrow’s solution. To sooth the itchiness and dry the blisters, any medication that contains aluminum acetate will work. White vinegar diluted with water is quite beneficial. Ratio of vinegar and water in ounces would be 1:16 respectively. Moisturizing crème can be effective for curbing itchiness and bringing back moisture to the dry/rough skin post rashes/allergy. Alcohol based sanitizer can relieve the irritation. Antihistamines. Some names of medications that help soothe the inching are diphenhydramine (Benadryl), loratadine (Claritin) and hydrocortisone (Cortaid). If the nickel allergy is of mild type, repeated application of a thin nail-polish coating on the underside of the ring will save the contact of nickel with the skin. For severe types of nickel allergy, switching to platinum/titanium ring band is a good way to go. For further resisting allergies types, a short-term treatment along with a prescribed direction of using cortisone creams such as clobetasol or triamcinolone would help. For persisting rashes that last for about a week or more even after taking off the ring or using cortisone creams, meet an allergy specialist and ask “my ring makes my finger itch, what should I do?” and also mention other troubling factors for immediate treatment. 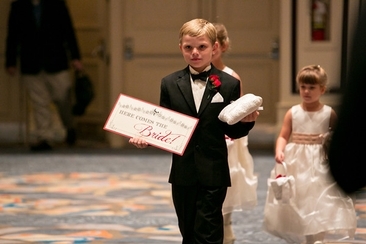 When does the ring bearer come in? What do they wear? Are you wondering about these questions? Then you’ve come to the right place. Read on to find the answers. How Long It Takes to Get Rings Resized? How long it takes to get rings resized? 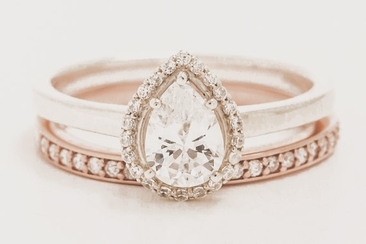 It depends on the kind of changes that need to be done and also where you get your ring resized. Learn the details! Consider replacing diamonds in a ring? 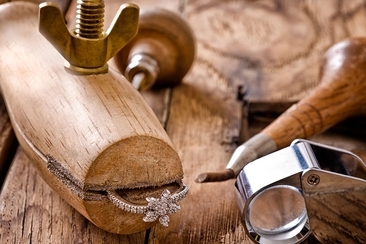 Whether replacing with a better quality diamond, a better-cut or a different colored stone, know everything and more. The Number of Glasses at Wedding? 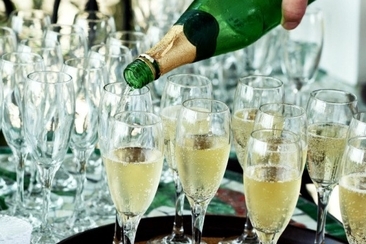 Alcohol can be the life of the party, and that includes the wedding reception. Figure out how much alcohol to buy and the number of glasses at wedding through our comprehensive guide! Looking for orchid bridesmaid dresses? We’ve got the tips and perfect choices for you. 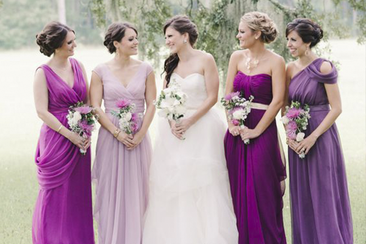 Keep reading to find the useful tips as well as the 20 best orchid bridesmaid dresses.